For Windows laptop users, for streaming YouTube videos like this, installing programs, there is one more news, Dell has released a new Dell Inspiron family, called Dell Inspiron 15.6-Inch Laptop (i15RV-954BLK) early this year with affordable price. Very unusual for a good computer company like Dell to release an affordable laptop with good specs. 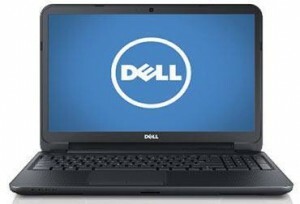 People tend to think most Dell laptops are very expensive and not affordable, however they might think different with this one. Like what a guy said, there is nothing special with the price, a 300 bucks something device, you will have a lot of choice. But there sure is one thing that this laptop can win its competition. Dell is famous for its customer support. Separated from Amazon or accident protection, this Dell Inspiron 15.6-Inch Laptop (i15RV-954BLK) has one year Dell’s basic hardware limited warranty if you purchase this. This means, because you will be the first laptop owner, after you receive the device, you should register your laptop to have this warranty. For more information, you can click this link. Let’s take a look at the hardware specification of this machine to find out whether this will provide you efficient performance or not. This Dell i15RV machine is powered by 1.9 GHz Intel Pentium 2127U processor which actually comes from Ivy Bridge processor that has been introduced to the market last year, 2013. What this said, this Intel Pentium 2127U processor is just a couple months older than newest Haswell Intel CPU families. Although it is not as fast as the newest CPUs, it will deliver good performance for most laptop users, from new to advanced users. Similar to other budget line notebooks, that have prices from 300 until 400 bucks, this Dell Inspiron 15.6-Inch Laptop (i15RV-954BLK) doesn’t come with the best design and material. Made from plastic with black colored cover, this laptop has solid looks and built. With the Dell nice logo on the back cover, the 15.6 inch screen is a LED backlit screen, but not a touchscreen. Don’t get confused with a LED backlit screen and backlit keyboard. They are different things, LED backlit screen, in most cases will produce back lighting in one layer, and the colour in another layer. Although many people will not care about their laptop’s display, but I personally would care about it because bad screen can cause eye strain, etc. Although it doesn’t have best screen resolution 1920×1080 or 1080p resolution, the 1366×768 resolution of the screen will still play HD videos which are streamed on the internet like YouTube or other streaming video websites or saved on your computer in 720p HD format, still in HD. It is very understandable not to have 1080p quality on this laptop, considering the budget line devices, if watching a 1080p full HD videos is very important to you, that I would suggest that you set your budget a bit more, because more resolution, you will need more processor’s power, better Graphics and more memory, which is equal to higher price, above $700. For the weight, the laptop itself weighs 5.10 pounds or 2.31 kg, while it will be shipped in a larger box, which will have 7-8 pounds for the shipping weight. The Intel Pentium 2127U CPU is combined with two slots of DDR3 RAM memory which is obviously not a gaming machine, but designed for middle staged computer users. The RAM itself is a dual-channel that supports total 8 gigs of RAM up to 1600 MHz. 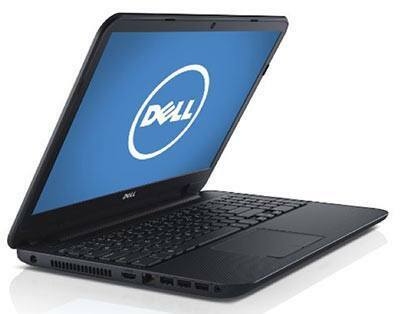 Similar on this Inspiron series, this Dell Inspiron 15.6-Inch Laptop (i15RV-954BLK) has 500 GB hard drive with 5400 RPM drive speed. To enable you burning DVD or CDs, this machine has a CD/DVD burner, a Dual-Layer DVD+/-R Drive. For games, streaming videos the Intel UMA HD Graphics will enable you to play basic entry games, and even basic music, and video editing. However, if you need to professionally edit your videos like intensively using Adobe Premiere, you would need to invest for a higher end laptop, because those tasks are the most heavy computing tasks that will need the most of your laptop’s resources. But for basic video editing and even playing Minecraft, this laptop will run without lag. For playing League of Legend, the processor of this machine will still work to its limit, but I recommend a laptop that has 2.4 GHz CPU minimum if you play League of Legend a lot. The operating system is the recent Windows system, which pre-installed Windows 8.1 OS 64-bit, see one tip to check if a laptop has 64-bit or 32-bit system in this pc guide, it also comes with 0.92 MP built-in webcam, and other peripherals that I will mention very soon. From this page, I can see that the only downside is the plat icky DVD drive drawer which doesn’t seem to be solid, however, people recommend this laptop if you are on tight budget and need a good laptop for this price.